Good Clinical Practice (GCP) is an international ethical and scientific quality standard for the design, conduct, performance, monitoring, auditing, recording, analyses and reporting of clinical trials. It also serves to protect the rights, integrity, and confidentiality of trial subjects. It is very important to understand the background of the formation of the ICH-GCP guidelines as this, in itself, explains the reasons and the need for doing so. In this paper, we address the historical background and the events that led up to the formation of these guidelines. Today, the ICH-GCP guidelines are used in clinical trials throughout the globe with the main aim of protecting and preserving human rights. 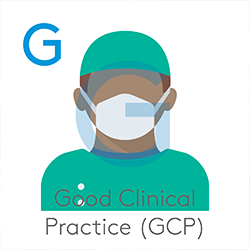 Good Clinical Practice (GCP) is an international ethical and scientific quality standard for the design, conduct, performance, monitoring, auditing, recording, analyses and reporting of clinical trials. GCP provides assurance that the data and reported results are credible and accurate and that the rights, integrity, and confidentiality of trial subjects are respected and protected. It was finalized in 1996 and became effective in 1997, but was not enforced by law at that time. The Medicines for Human Use (Clinical Trials) Regulations 2004 and the European Union (EU) Directive on Good Clinical Practice changed the world perspective, and compliance with GCP is now a legal obligation in the UK/Europe for all trials involving the investigation of medicinal products. It is very important to understand the background of the formation of the ICH-GCP guidelines as this, in itself, explains the reasons and the need for doing so. The concept of the ‘good physician‘ dates back to the ancient world and it is evidenced by the Hippocratic Oath (460 BC). In the United States, the first landmark in the regulation of drugs was the Food and Drugs Act of 1906. This was a result of harmful and lethal drugs that could be bought across the counter just like any other consumer product. Some examples are ‘Grandma’s Secret’ and ‘Kopp’s Baby’s Friend’ which contained large doses of morphine, as well as ‘Dr. King’s Consumption Cure‘ and ‘Dr. Bull’s Cough Syrup‘ which contained morphine and chloroform. In 1938, the Federal Food, Drug, and Cosmetic Act were enacted by the Food and Drug Administration (FDA) and for the first time, manufacturers were required to test drugs for safety and present the evidence of safety testing to the FDA prior to marketing. In 1947, the Nuremberg Code was created as a result of the unethical and horrific experiments carried out during World War II at Nazi war camps by German physicians, who were subsequently tried and charged at the Nuremberg Military Tribunal. This code states the need for a scientific basis in research on human subjects and voluntary consent and protection of participants. The Universal Declaration of Human Rights (December 10th, 1948) was also adopted and proclaimed by the United Nations after the atrocities of World War II and it further reiterated the human factor involved in medical experiments. In 1962 the world was once again shocked by the severe fetal limb deformities linked to the use of maternal thalidomide. In fact, this drug reaction was only discovered after 10,000 infants were born in over 20 countries worldwide. In response to this, the Kefauver-Harris Amendments were passed which required the FDA to evaluate all new drugs for safety and efficacy. Respect for Persons: This principle acknowledges the dignity and freedom of every person. It requires obtaining informed consent from research subjects (or their legally authorized representatives). Beneficence: This principle requires that researchers maximize benefits and minimize harms associated with research. Research-related risks must be reasonable in light of the expected benefits. Justice: This principle requires equitable selection and recruitment and fair treatment of research subjects. In 1982, the World Health Organization (WHO) and the Council for International Organizations of Medical Sciences (CIOMS) issued a document entitled ‘International Guidelines for Biomedical Research Involving Human Subjects‘. This document was released to help developing countries apply the principles of the Declaration of Helsinki and the Nuremberg Code. Worldwide, many organizations and committees issued various documents and guidelines on the same issue, and a decision was taken to consolidate all these guidelines into one universal guideline to be used globally. In an effort to overcome international GCP inconsistencies throughout the countries, the International Conference for Harmonisation of Technical Requirements for Registration of Pharmaceuticals for Human Use (ICH) issued the ICH Guidelines: Topic E6 Guideline for GCP. This guideline was approved on 17 July 1996 and implemented for clinical trials from 17 January 1997. The participants of these guidelines were representatives of authorities and pharmaceutical companies from the EU, Japan, and the United States well as those of Australia, Canada, the Nordic countries and WHO. The ICH-GCP is a harmonized standard that protects the rights, safety, and welfare of human subjects, minimizes human exposure to investigational products, improves quality of data, speeds up marketing of new drugs and decreases the cost to sponsors and to the public. Compliance with this standard provides public assurance that the rights, safety, and well-being of trial subjects are protected and consistent with the principles of the Declaration of Helsinki and that the clinical trial data are credible. Clinical trials should be conducted in accordance with ethical principles that have their origin in the Declaration of Helsinki, and that are consistent with GCP and the applicable regulatory requirement(s). Before a trial is initiated, foreseeable risks and inconveniences should be weighed against anticipated benefit for the individual trial subject and society. A trial should be initiated and continued only if the anticipated benefits justify the risks. The rights, safety, and well-being of the trial subjects are the most important considerations and should prevail over the interest of science and society. The available non-clinical and clinical information on an investigational product should be adequate to support the proposed clinical trial. Clinical trials should be scientifically sound and described in the clear, detailed protocol. A trial should be conducted in compliance with the protocol that has received prior institutional review board (IRB)/ independent ethics committee (IEC) approval/favorable opinion. 7. The medical care is given to, and medical decisions made on behalf of subjects should always be the responsibility of a qualified physician or, when appropriate, of a qualified dentist. Investigational products should be manufactured, handled and stored in accordance with applicable Good Manufacturing Practice (GMP). They should be used in accordance with the approved protocol. All clinical trials should be conducted in accordance with ethical principles, sound scientific evidence, and clear detailed protocols. The benefits of conducting trials should outweigh the risks. The rights, safety, and well-being of trial participants are of paramount importance and these should be preserved by obtaining informed consent and maintaining confidentiality. The care must be given by appropriately qualified personnel with adequate experience. Records should be easily accessible and retrievable for accurate reporting, verification, and interpretation. Investigational products should be manufactured according to Good Manufacturing Practice (8). It is also important to mention the participants of GCP in clinical trials and their respective responsibilities. The importance of GCP lies in the question ‘why’ and ‘how’ GCP trials came about. To know the answer to this, we have to look to the historical background that led to the formulation of GCP guidelines in the United States and Europe and also to the formation of the ICH. The events that led up to the culmination of the ICH-GCP guidelines brought forth public awareness that there was a need to control and regulate clinical trials dealing with drugs and human subjects. The violation of human rights played a large role and that is why the Declaration of Helsinki and The Nuremberg Code remain as the framework of the present guidelines. The ICH-GCP guidelines are therefore considered the ‘bible’ of clinical trials and have become a global law which safeguards humanity as we know it today.